The principal office for the transaction of the business of the corporation is fixed and located in Sonoma, Sonoma County, California. Members: Members of the corporation shall be for-profit visitor related businesses located in Sonoma Valley, California. Members must pay the membership fee as set by the board of directors. Each member shall have one vote and shall be eligible for election to the board. If the member is not an individual, then the individual with the right to vote and serve on the board shall be an individual owner or employee designated by the member entity. Members shall have such other rights as set by the board. 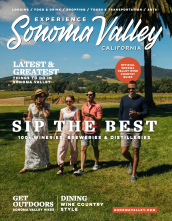 Associate Members: Non-profit organizations, for-profit businesses located outside Sonoma Valley, and non visitor-related businesses may become Associate Members if they pay the fee set by the board. Associate Members shall not have the right to vote or be eligible for election to the board. Associate Members shall have such other rights as set by the board. Membership Ballot: The election of directors and such other business as the board determines may be conducted by a mailed or electronic ballot. Ballots shall be distributed to each member by regular or electronic mail at least 15 days prior to the date that the ballot is to be returned. Ballots shall be returned to an election monitor as selected by the board, and such monitor shall count ballots and report the results to the board. Number of Directors: The board shall consist of a minimum of eleven members and a maximum of thirteen members. The board will vote to fix the number of directors and to change the number if there are to be more or fewer directors. Makeup of the Board of Directors: The directors should represent a wide variety of visitor-related businesses from the Sonoma Valley. Election and Term of Office: The election shall occur in November or December. The term of office of each director of this corporation shall be two years starting the January after election. The directors shall be classified as to the year their term expires for the purpose of providing, as nearly as numerically possible, for the election of one-half of the board of directors in each year. All current board members whose terms are expiring may be considered for re-election. Candidates may submit their interest to join the SVVB board of directors by contacting the nominating committee chair, Lesli John, Immediate Past President, or by submitting a written petition with the endorsement of ten signatures from ten member businesses.